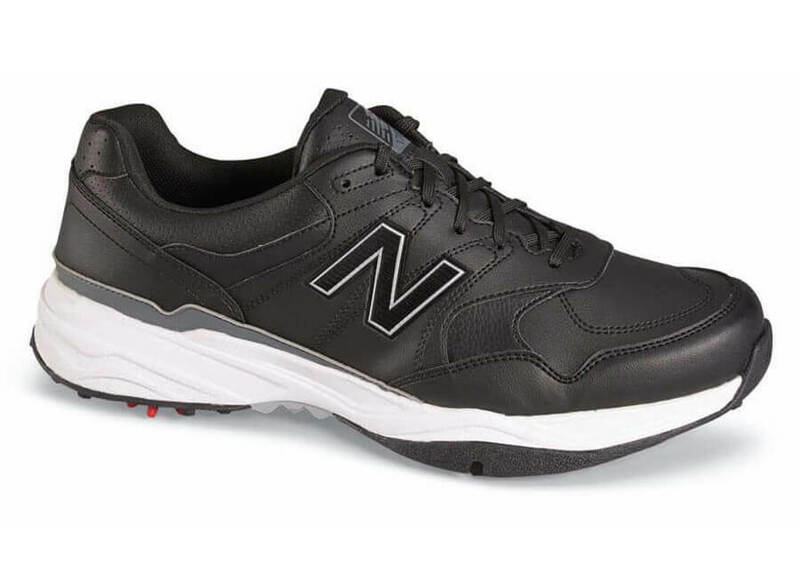 New Balance’s lightweight black golf shoe is made of premium microfiber leather and is guaranteed waterproof for two years by the manufacturer. 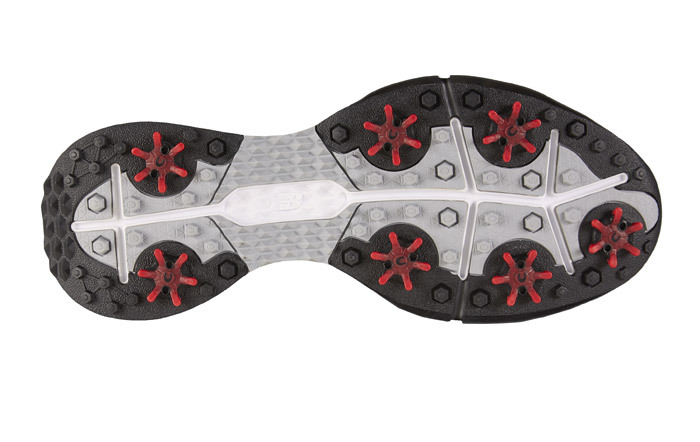 It has a cushioning EVA midsole and hard-wearing NDurance® rubber outsole with Champ Slim-Lok® Zarma Tour cleats to maximize traction and make spike replacement a snap. Made on the MX-001 last with extra toe depth, higher instep and wider heel. Men’s sizes 8–12, 13, 14, 15 and 16 in 4E width. Limited stock available.